The city of Zurich is being given a new highlight. 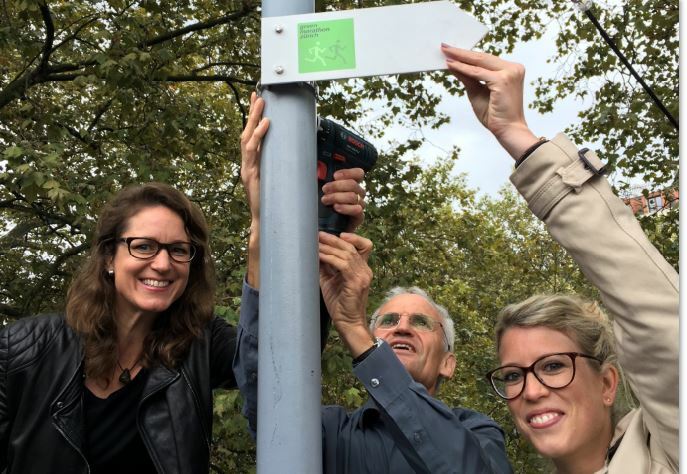 For the first time in Switzerland, a permanently signposted route the symbolic length of a marathon (42 km) leading through urban green spaces is being created. The “discovery route” runs exclusively along the Zurich network of hiking trails, meaning that relaxation, variety and breathtaking panoramic views of the city of Zurich are guaranteed. This new tourist attraction is aimed at business and leisure guests who love nature and running and are looking to discover the city. The public and reliably signposted running, hiking or sightseeing route is available throughout the year. The Green Marathon Zurich is fully accessible on foot. Visitors to the city of Zurich can access the route from anywhere using public transport and can thus discover sections of the route around Zurich in stages.